Nathan Hale (June 6, 1755 – September 22, 1776) was a soldier for the Continental Army during the American Revolutionary War. A spy for the Continental Army, he volunteered for an intelligence-gathering mission in New York City but was captured by the British. He is probably best remembered for his purported last words before being hanged. Hale has long been considered an American hero and in 1985, he was officially designated the state hero of Connecticut. Randy Newman is a national treasure and one of America’s greatest satirists. In Let’s Drop the Big One Now, Mr. Newman sings; boom goes London, boom Par-ee, more room for you & more room for me, suggesting that America should just get on with taking everyone else out. Enemies and allies, blown to bits, laying in tatters with nothing really mattering except the fact that America survives alone in the ruin. The shining city on the hill we all imagine ourselves to be, shiny, surrounded by the apocalypse. Willing to destroy everything in order to believe? All this got me thinking about our dear wounded Republic and American Revolutionary War hero Nathan Hale. Mr. Hale, a twenty-one year old patriot, had been captured, brought in for questioning, convicted of spying for the Rabble, aka the Colonists, and sentenced to hang by British General William Howe. There is much speculation about Mr. Hale’s last remarks, but no speculation about its gist, and there lies the rub. As Americans we used to believe in truth. As Americans we used to believe in justice, didn’t we? Aren’t We the ones who saved the World by beating back the Nazi’s & the Imperial Japanese in four years? So why is it? That when someone presents us with a truth, an unmistakable real truth … we fail to see it? Fail to believe it, fail to breathe justice into it. Why have We become a Nation willing to look the other way, away from truth, toward the lies and the people who feed these lies to us this propaganda? The Pentagon believes, twenty-three year old, Pfc. 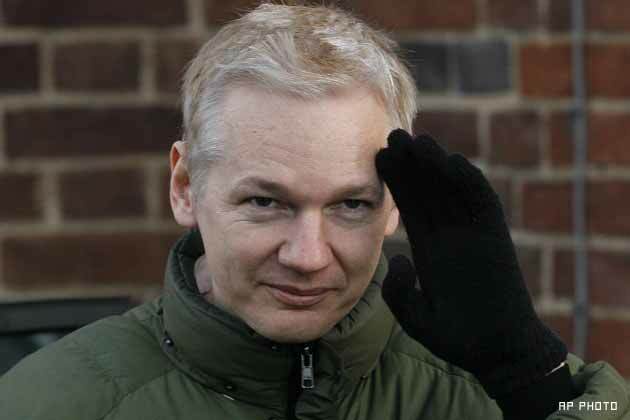 Bradley Manning gave classified information regarding a helicopter attack in Baghdad, Iraq to WikiLeaks Julian Assange who in turn made it available on the Internet. The Pentagon believes Mr. Manning is so dangerous they need to keep him in rigid solitary confinement twenty-three and a half hours per day in Quantico, Virginia while awaiting a court-marshal and possible 52 years jail term. Bradley Manning released the truth. 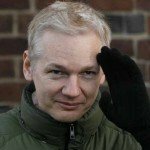 I believe WikiLeaks & Julian Assange’s truth. You see, the truth is the truth is the truth. Lord Acton sums it up so succinctly. A chapter in a sentence; Secrecy creates, breathes life into sickness, injustice, deceptions and endless lies, endless wars. Mr. Uris uses words as a fencer uses a foil. Who has ever said it better? War is the terror of the rich, the very sick rich. The rich who can only slake their thirst with blood, greed, death, deceptions … and … lies, endless lies for their endless wars. The endless wars the rich use to mask their own mortality. Mr. Biden, you are sounding a lot like General Howe. I see him standing there saying a similar thing to our dear Mr. Hale. The gist in a different time, the gist in different place where the words can change a bit, but where truth will still ring true. The exact same. Only the stripes of the flag are different. The actors recite their lines only changing their costumes. State power and the State’s willingness to do anything to protect itself is where we are now in America. No one is coming here to beat back AmeriCO.nia, no one is coming here to save us from ourselves. The world will go on without us, as We merrily march, steadily into absolute State power and propaganda. You see, in my America Pfc. Bradley Manning is Nathan Hale. In my America Vice-President & Actor Joe Biden is British General William Howe having only exchanged a war sash full of medals & a tri-cornered hat for a red, white & blue striped tie & flag lapel pin cresting neatly on his freshly pressed Super 120 navy blue suit. It’s amazing what the modern costume shop can come up with hoodwinking us along the way. How many lives do you have to give for our wounded Republic? How many lives do we have left before She turns into something we can no longer recognize even in shadow? *By all accounts, Hale comported himself eloquently before the hanging. Over the years, there has been some speculation as to whether he specifically uttered the famous line.